In 2012, in addition to national voice competitions in opera and art song outlined on The American Prize website, contestants for The American Prize in Vocal Performance (opera/operetta division), 2012, may also apply to be considered for the Chicago Opera Award, three $500 prizes (any voice type or fach is eligible) to be awarded as performance fees to opera soloists selected to appear under Maestro David Katz’s baton in concert with the Chicago Bar Association Symphony Orchestra & Chorus. 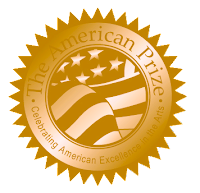 The postmark deadline for The American Prize and the Chicago Opera Award is Monday, January 23, 2012.
WHO is ELIGIBLE: Applicants for The American Prize in Vocal Performance (opera/operetta division), 2012, in the professional and college/university categories, only. Winners will be featured in a concert of opera selections under the baton of Maestro David Katz and the Chicago Bar Association Symphony Orchestra and Chorus at St James Episcopal Cathedral, Wabash at Huron Streets, Chicago, on Wednesday evening May 16, 2012. (Dress rehearsal Tuesday evening, May 15, 2012, same location.) Each winner will receive a $500 all-inclusive fee (no additional housing, travel or per diem), payment to be made on the day of the performance. The selection process for the Chicago Opera Award is separate from The American Prize judging. Winning one competition does not preclude the possibility of winning the other. Maestro Katz expects to select the winners of the Chicago Opera Award by about March 20, 2012. The decisions of the judges are final. There is no additional application fee for the Chicago Opera Award beyond the $35 fee to apply for The American Prize in Vocal Performance (opera/operetta division). Although the Chicago Opera Award is an additional contest open to all professional and college/university applicants for The American Prize in Vocal Performance (opera/operetta division), 2012, it is geared primarily to those who live within comfortable travel distance of Chicago and who can make their own housing arrangements. For more about the 25 year history of the CBASO & Chorus, Chicago's unique ensemble of attorneys and judges, click this link. Recent CBASO & Chorus vocal soloists have included sopranos Patrice Michaels and Kathleen Van de Graaff, tenors William Chamberlain and Ian McEuen, baritone Jacob Lassetter, and bass-baritone Peter van de Graaff. VOCAL COMPETITION updated to numerous online listings. The published postmark deadline for The American Prize in Vocal Performance, in Piano Performance, and for Composers has been changed to Monday, January 23, 2012. Because of two recent storms that uprooted our office for multiple days, the additional time will allow us to "get the word out" and provide a better opportunity for us to answer questions from applicants. PDFs of the revised applications are available on our website but we will of course accept applications that contain the older date. Questions? Email theamericanprz@aol.com or theamericanprize@gmail.com. We are always happy to help. Thanks to an Ameren line crew that drove through the night all the way from north-central Missouri to help the citizens of Connecticut following last week's devastating winter storm, power has now been restored to the offices of The American Prize. We will open on Monday on a normal schedule. Look for website and blog updates coming this week about 2012 competitions. We have relocated The American Prize office to temporary quarters while we wait for electrical service to be restored at our building—following the devastating pre-winter snow storm this past weekend. Other than a slight delay in responding to emails, we should be able to handle all duties now more or less as usual. Thanks for your patience.